“The higher the quality of the program and the lower the cost, the better the deal,” as U.S. News & World Report put it. St. Mary’s was ranked second in the West region in the Best Value Schools rankings. In its Best Colleges ranking, St. Mary’s was 15th of 140 universities in the West for academic quality, especially student outcomes. St. Mary’s has been included in the list of top-tier regional universities for 25 consecutive years. St. Mary’s also tied for 8th among the Best Colleges for Veterans in the West, which includes schools that take part in federal initiatives to aid veterans and active-duty service members in funding their education. U.S. News also ranked the University’s Engineering and Greehey School of Business undergraduate programs and the online Master of Software Engineering. The New York Times published an interactive tool exploring economic diversity and student outcomes in U.S. colleges and universities. The tool is based on a study by the Equality of Opportunity Project, which formulated “mobility report cards” by analyzing public data on 30 million college students and their parents. It studies their pre- and post-college income to reveal just how well the school they attended prepared them for life after college. St. Mary’s students succeed, the results show. Thirty-eight percent of students coming from the bottom fifth of incomes as students moved to the top fifth as adults – a figure that ranks 10th of 123 Texas colleges. The median family income of a St. Mary’s student is $61,600, among the lowest for selective private colleges. But by age 34, a St. Mary’s alum has a median personal income of $49,700, which ranks No. 102 of 578 selective private schools. Money Magazine ranked St. Mary’s University the second best university in San Antonio, fifth in Texas and No. 212 of 727 nationally in its 2018 Best Colleges ranking. Schools were ranked based on quality of education, affordability and graduates’ job success. The Brookings Institution gave St. Mary’s a score of 99 out of 100, making it the top university in San Antonio, second in Texas and 17th nationally for how well it prepares students for careers – ahead of Harvard, Notre Dame, Yale, Texas A&M and UT-Austin. 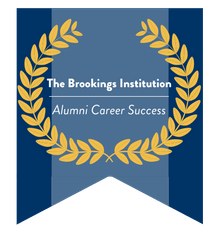 Brookings uses government and private data to analyze college value-added, considering the economic success of graduates – incomes, occupations and loan repayment rates. Columnist James B. Stewart wrote that many of today’s ubiquitous college rankings are flawed in that they don’t measure institutions’ true effect on students’ futures. So he shed light on the Brookings Institution’s “value added” rankings. Stewart interviewed the author of the Brookings study, Jonathan Rothwell, who isolated the highest “value added” colleges regardless of major. Stewart dubbed it the “Brookings-Common Sense” ranking. St. Mary’s lies in the upper echelon of 47 ranked colleges in Texas. Nationally, St. Mary’s tied for 495th of 1,054 schools. This ranking, established in 2016 by the Wall Street Journal and Times Higher Education, takes college resources, student engagement, graduate outcomes and learning environment into consideration. St. Mary’s appears on national, Texas and Catholic Colleges of Distinction lists. 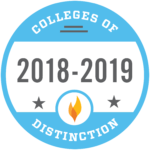 An honor, not a ranking, Colleges of Distinction has been recognizing excellence in undergraduate higher education for more than 15 years. It focuses on four distinctions: engaged students, great teaching, vibrant community and successful outcomes. PayScale has repeatedly recognized St. Mary’s for alumni with top salary potential in their careers, and this year was no different. StMU was again among Texas’ top schools in the College Salary Report. PayScale also has St. Mary’s tied for 340 overall, out of 1,509 schools nationally, and 226th among 941 private institutions. StMU ranked sixth in the Southwest in the Best Colleges for the Money rankings by College Factual, affiliated with USA Today. The University ranked in the top 15 percent of all schools in the nation in the Best for Vets category and was No. 42 — the top 9 percent — in the nation for Best Value Math Schools. Triple gold awards! The annual Readers’ Choice awards lets South Texas readers vote on their favorite institution of higher education and other categories. In 2016, St. Mary’s ended UTSA’s seven-year reign atop the College/University category. Niche ranked St. Mary’s second of colleges in San Antonio and 16th of 81 Texas schools. St. Mary’s was also highly ranked among the Best Colleges in America, Best Catholic Colleges in America (38 of 165) and Best Value Colleges in America (167 of 1,590). Niche’s overall rankings stem from federal data as well as student and alumni reviews to help get a clearer picture of each school’s quality. StMU ranked No. 4 on the 51 Best Colleges and Universities in Texas list and No. 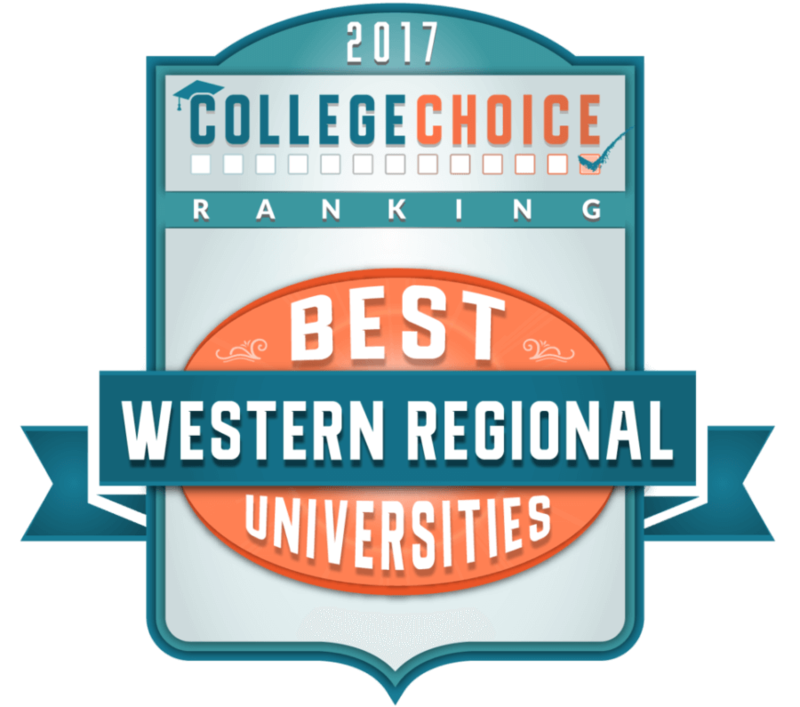 14 (of 35) on the Best Western Regional Universities list in 2017. College Choice uses data from U.S. News, the National Center for Education Statistics and PayScale. The Greehey School of Business at St. Mary’s was among 252 outstanding on-campus MBA programs on the Princeton Review’s national and regional lists for the “Best Business Schools for 2019”. The St. Mary’s School of Law made the list “Best 165 Law Schools” 2019, as well as the Most Chosen By Older Students (No. 4 of 10) ranking. St. Mary’s twice has been named among the top graduate schools for video game design, in 2014 and 2016, ranking 25th both years. The Computer Science Department unveiled a certificate program in educational computer gaming in 2013. This certification prepares grad students for careers in the emerging industry of game-based learning. Texas Lawyer magazine listed the St. Mary’s University School of Law’s Master of Laws program as second-best in the state, after the University of Texas School of Law. 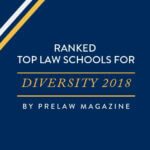 PreLaw magazine ranked St. Mary’s University School of Law among the best law schools in the nation for Hispanics in its “Best law school’s for diversity” article in the Winter 2018 edition. The analysis included number of minority students, the number of minority faculty and the services available to minority students. Since being ranked No. 1 in 2010, St. Mary’s has routinely been listed among the best master’s universities in the country. There were 632 schools in Washington Monthly’s 2017 College Guide. St. Mary’s also ranked No. 50 of 199 universities in the South for Best Bang for the Buck. TrustNodes – a news outlet that focuses on blockchain, bitcoin, ethereum and other financial technology – named the St. Mary’s School of Law among the world’s best in this emerging field, alongside institutions such as Cornell, Cambridge, MIT and Johns Hopkins. Angela Walch, Associate Professor of Law, has become an expert in the field, and she teaches her students about the legal and ethical issues surrounding blockchain technology. The Society for Industrial and Organizational Psychology (SIOP) ranked St. Mary’s University’s Master of Industrial/Organizational Psychology program 11th overall out of 129 of the top master’s programs in the nation affiliated with the society. The program, which provides students with a challenging curriculum and pairs students with alumni mentors to enhance their professional development, earned fifth in Applied Experiences for Students and 15th in Curriculum.